You can’t always get what you want. But if you try sometimes you just might find you get what you need. 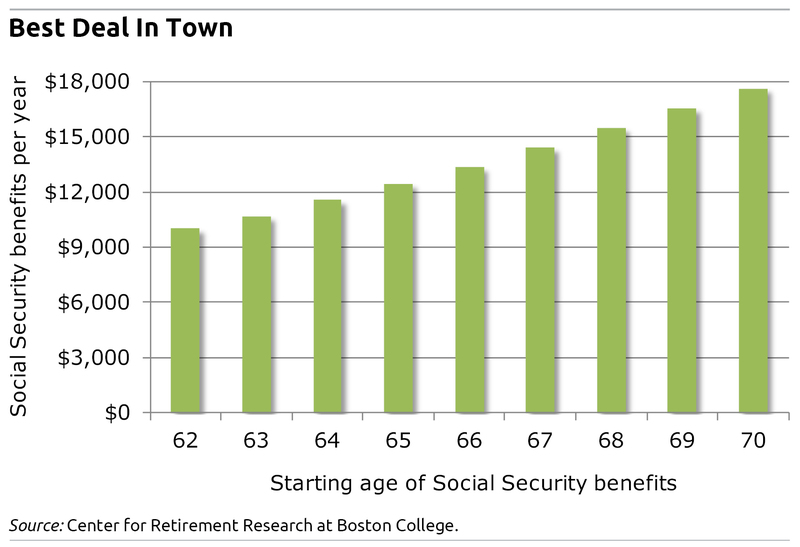 There is nothing better that most people can do to get what they’ll need in retirement than delaying when they start collecting Social Security. The recent PBS documentary, “The Retirement Gamble,” sounded the alarm for many viewers who may be ill-prepared for the financial challenge of a long life – and not much retirement savings in the bank. To address this growing issue, financial advisers often emphasize retirement-survival strategies to their baby boomer clients. These strategies revolve around the complexities of figuring out how much to save, how to invest, or the best way to spend one’s 401(k) assets post-retirement. But the real problem facing most Americans is that they have meager balances in their 401(k)s – or none at all. How Good Is Your 401(k)? When Sanofi froze its defined benefit pension plan last year, the top brass wanted to make sure its 401(k) was seen as a worthy replacement by the company’s 24,000 U.S. employees and retirees. In corporate America, 401(k) plans are now the norm: in 2012, only 11 of Fortune magazine’s 100 largest companies still offered a traditional defined benefit pension, according to the consulting firm Towers Watson. 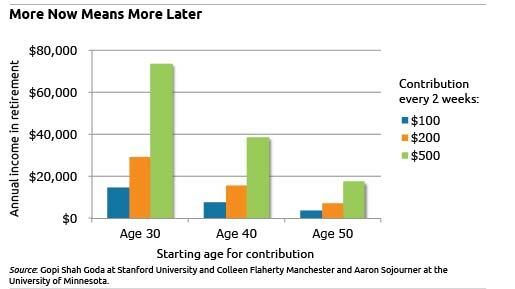 But Sanofi U.S. had strong motivation for designing a 401(k) that is generous compared with typical 401(k)s.
Squared Away recently interviewed Sanofi executives about their plan’s details, shown below, which readers can compare with 401(k) plans in their own workplaces. We hope you’ll post a comment on Facebook and let us know how, or whether, yours stacks up. Sheila Taymore could not afford the $2,200 mortgage and home equity loan payments, the enormous heating bills, and the repairs – so many repairs – on the home she’d owned for decades. Sheila Taymore, 60, of Salem, Mass. But selling it was emotional: she and her first husband had raised two sons in that house in the seaside town of Swampscott, north of Boston. 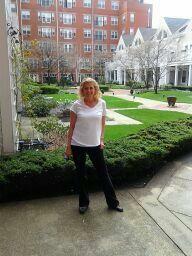 Her decision to move was triggered by a recent divorce and came about two years after the death of her mother. “I walked around and cried and said, ‘Who cares about this house?’ I make all this money, and all my money was going towards my house,” said Taymore, a Comcast Cable salesperson – last year was her best year ever. She is like millions of U.S. baby boomers struggling, often imperfectly, to prepare financially for their imminent retirement. Wall Street may tout investment savvy as critical to ensuring a comfortable old age, but less lofty decisions can be more helpful to those with too little savings and too few working years left to make it up. Getting or keeping health insurance is central to many of the major decisions that working Americans make. Canadian and European governments provide universal health care to their citizens, but this country has relied heavily on employers for health insurance, and only about two-thirds of them provide it. It’ll be fascinating to see how health care reform changes our decisions about work, starting a business, college, and individual finances when more Americans have access to coverage in 2014. Research years ago established the influence of employer health insurance on the workplace. When employees are covered at work, job turnover is lower – workers know health care is a big thing to give up. There’s also newer evidence that people on the disability rolls, who receive health care as part of that federal benefit, are more likely to go back to work if they live in a state with better access to health insurance in the private market. Retirement is another big decision driven by one’s health insurance options. Medicare eligibility at age 65 can trigger the decision, new research shows: people working for employers without any health benefits for their retirees are more likely to retire at 65, according to a paper by economists Norma Coe of the University of Washington’s School of Public Health and Matt Rutledge of the Center for Retirement Research at Boston College, which supports this blog. Squared Away wrote about three unemployed baby boomers on Tuesday – an arts administrator, a corporate executive, and a social-services professional – who are having to scrounge for income to sustain themselves. They are among the more than 1.5 million baby boomers caught in that painful limbo between a long and successful career and retirement – very possibly by default. All three want to get back into the labor force but may be forced to retire, because it’s more difficult for them to find employment than it is for younger workers. While nearly half of unemployed adults between the ages of 25 and 49 were able to find work within seven months during and after the Great Recession, it took more than nine months for half of those over 50 to find a job, according to the Urban Institute, a Washington think tank. 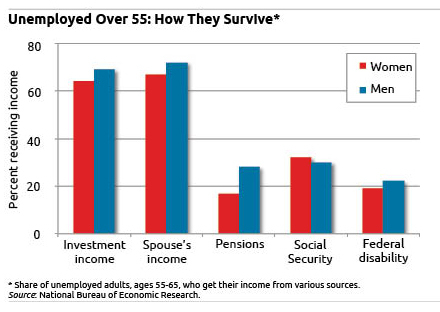 Many boomers may never find a job and will eventually retire. Brisk sales of Linda Novak’s crocheted scarves and baby blankets have subsidized the 62-year-old’s Manhattan rent since her 2012 layoff. Boston resident Marcus Queen, 58, receives food stamps while trying to reignite his beloved career: helping city kids get a leg up. Joseph Imperiale, 66, wants to get back into the business world, so he doesn’t have to tap his retirement savings yet. Nearly three years after the Great Recession officially ended, more than 900,000 baby boomers laid off several months or years ago are still pounding the pavement, unable to find employment in an economy that produced only 88,000 jobs in March. They simply are not ready to retire – financially or emotionally – but they often feel that unemployment is forcing them to do so prematurely. It takes boomers longer to find employment than it does younger job seekers, creating financial challenges unique to their stage of life. They could begin collecting their Social Security benefits immediately upon becoming eligible, at age 62, but the largely irreversible decision to accept a reduced monthly check would haunt them throughout retirement. They can’t afford to put more money into their savings – in fact, if things get really rough, they may have to raid the 401(k) to pay the bills.